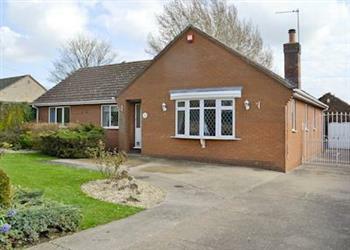 The Orchards in Dunston, near Lincoln sleeps 5 people. The Orchards near Lincoln is a great holiday home in which to relax and escape the bustle of a busy city life, complete with a hot tub. The Orchards is a detached bungalow which has a large garden with open views to the rear, which can be enjoyed from the conservatory. The village benefits from a very good pub serving food and drink as well as a Co-op a mile away. Nearby, Lincoln is famous for its cathedral, castle and the Magna Carta Centre just 9 miles away. There’s the Battle of Britain Memorial Flight Visitor Centre 18 miles away in Coningsby, and the traditional seaside town of Skegness is less than an hour’s drive. Explore the Lincolnshire Wolds or for the more intrepid holidaymaker, there are many good walks and cycle routes from the door. Golf courses in the area include Woodhall Spa Golf Club, with Blankney Golf Club just 2 miles away. Fishing nearby. The nearest shop is 1 mile, with the pub and restaurant ¼ mile from The Orchards near Lincoln. Step to entrance. The Orchards is all on ground floor: Living room. Dining room. Kitchen. Conservatory. 3 bedrooms: 2 double, one with French doors, 1 single. Bathroom with bath, shower cubicle and toilet. Wood burner in living room (initial fuel included). Oil central heating, electricity, bed linen and towels included. Travel cot and high chair on request. 50 Freeview TV. DVD. CD. iPod dock. Electric cooker. Microwave. Washing machine. Dishwasher. Fridge/freezer. Wi-Fi. Enclosed lawned garden with patio, terrace, sitting-out area and furniture. Summerhouse. Barbecue. Parking (3 cars). Hot tub. Welcome pack. No smoking. Holidays at The Orchards run from Friday to Friday. Pets allowed at The Orchards. For a better idea of where The Orchards is, you can see The Orchards on the map below. The Orchards is in Lincolnshire; should you be on the lookout for a special offer, you can find all the special offers in Lincolnshire. It's always worth checking to see what is on offer at the moment. 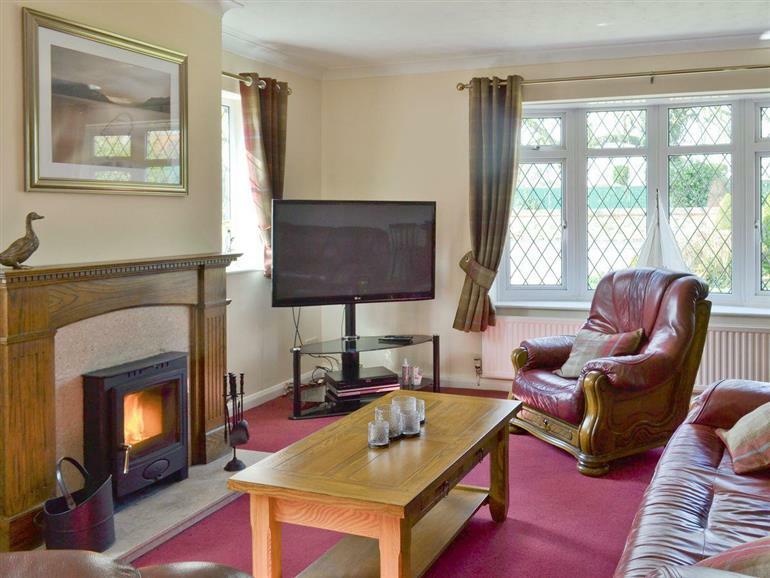 Do you want to holiday near The Orchards (UKC259), you can see other cottages within 25 miles of The Orchards; have a look to find your perfect holiday location.